Living with a furry friend comes with much joy, but also the responsibility of keeping him healthy, comfortable, and happy. It is not so hard job to keep your senior pet healthy. By following some true and effective methods, you can make a huge difference in the quality of your older canine’s life. It is a very easy to assume that the changes of senior canines experience are inevitable. Canines older than seven or eight may sleep more, slow down and play less. These are a few signs of age. Senior pets that get the right balanced diet, exercise, and mental stimulation can avoid some of the cognitive and physical changes that can come along with old age. An older canine has a several health requirements than a younger dog. Younger dogs don’t require much attention and care, because their body is capable of fighting germs and diseases. Here are some important tips to help you with your older dog care. Do you know there are two types of dog guardians. One who over exercise the dog, because they worry that their canine will get weak and another one who under exercise because they worry about injuring their senior pet. Lack of exercise can have a negative impact on the health of your pet. Provide him some light exercises that can keep the dog healthy without making him tired. Make sure the food you are giving to your dog has plenty of vitamins. If you don’t know which food is good for your aging pup, you can consult with your vet. 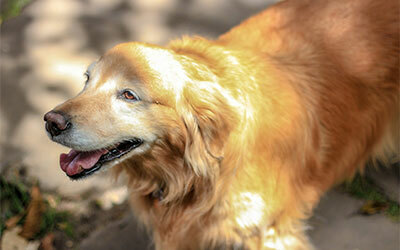 Senior pets undergo several sorts of body changes and the digestive system is one of them. They don’t have a strong digestive system to digest food given to them. Senior canines require as much attention and time as a puppy. When you give your precious time to your older dog, you can both enjoy the time you have together. A regular dental care is essential throughout the pet’s life, especially for older pets. Tartar builds up very easily in senior pet’s teeth can cause gingivitis. Gum diseases also known as periodontal diseases. Once it starts can cause more problems like tooth pain, bad breath, tooth loss and others. There is no doubt that pet likes to eat. But you have to be extra careful for older dogs. Because if you give them unhealthy, over or less food, it increases their chances of suffering from several diseases that can harmful for their health. Your vet is an only person who can guide you what is good or bad for your senior dog’s health. Make sure you take your older dog for regular checkups. It is important to detect the earliest signs of illness and treat them before it gets too late. For every pet owner, their pets are just like a member of their family. So, they deserve to be treated with the same attention as you would your loved ones. If you have any question regarding the health of your senior pet, just give us call at Westheights Veterinary Hospital in Kitchener.